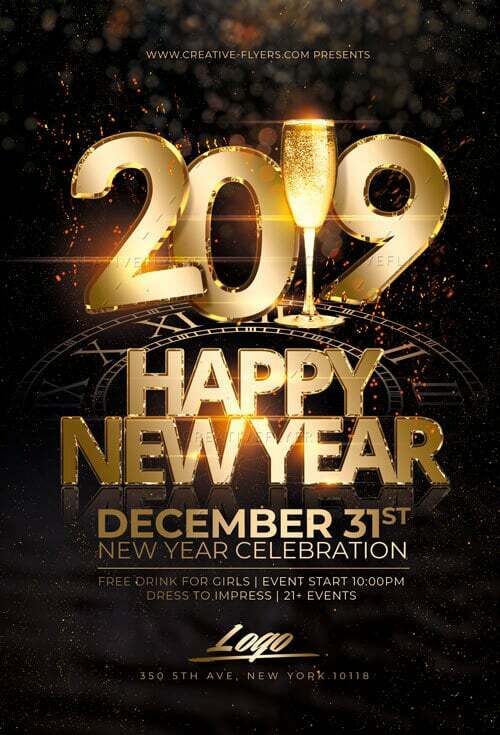 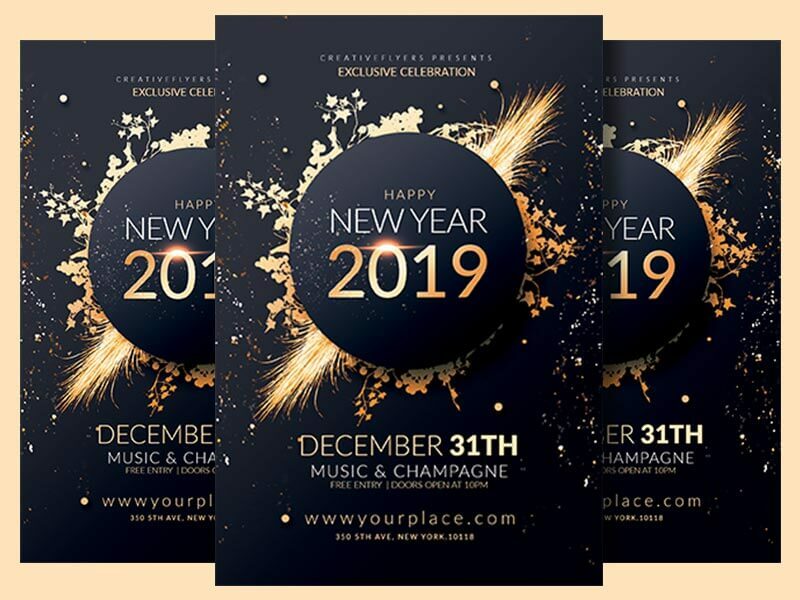 Elegant New Year Party flyer to promote your Event! 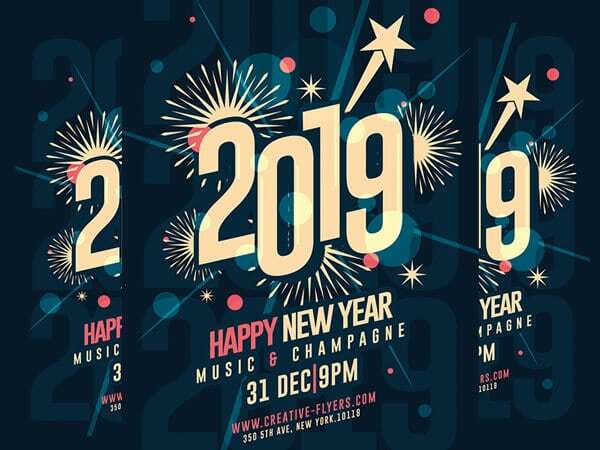 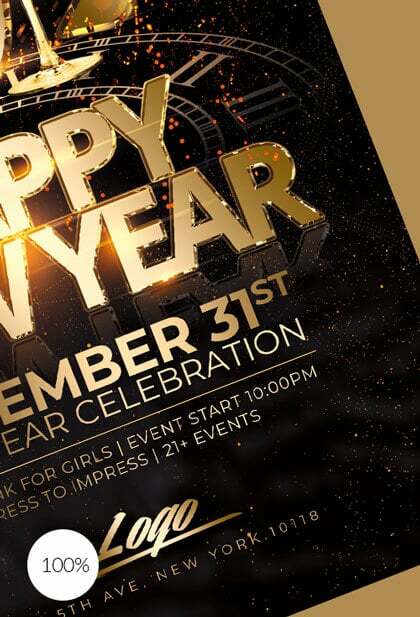 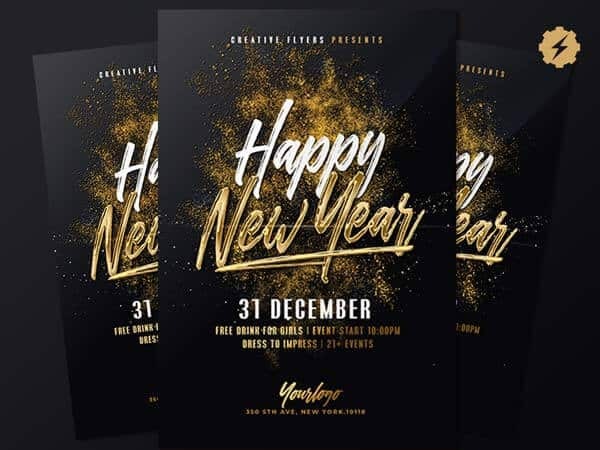 Enjoy downloading this New Year Party Flyer, Elegant and unique flyer template for your 2019 New Year’s party designed by Creativeflyers. 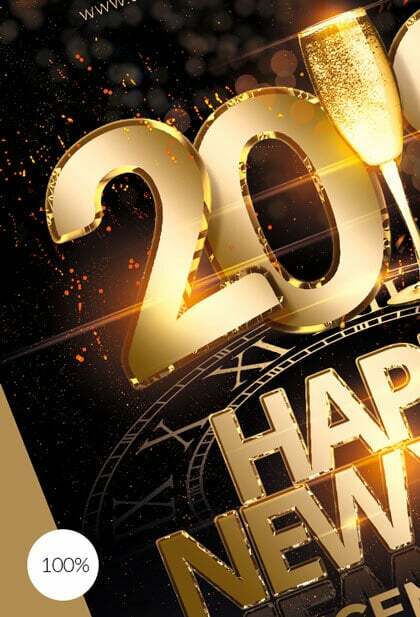 All elements shown are included and fully editable in the PSD.